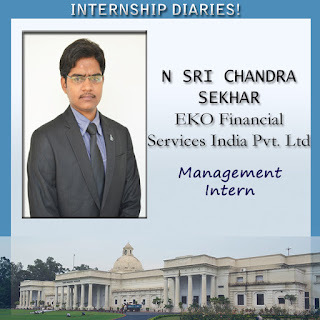 I had done my internship at EKO Financial Services India Pvt. Ltd from 11th May to 7th June. It was an enriching experience as I learnt a lot about the payment systems, the way transactions happen between banks, merchants and customers and how the business is being handled at EKO. I also acquired a fair bit of knowledge on how prepaid payment instruments and money remittance work. The work culture at EKO was conducive for learning as interns get the opportunity to work on projects of their interest and mentors were always there to guide them. The following are the details of projects I worked on during my internship. A comprehensive analysis of four of EKO’s competitors (Oxigen, ITZ Cash, Suvidhaa and TSS) is done. Based on our meetings with the competition’s agents and distributors, different aspects of their business like cash remittance process, distribution model, agent/distributor on-boarding process, e-money flow and support extended to their agents were elucidated. Special attention has been given to the pricing of competitors from market, agent and customer’s perspective across all remittance slabs. This is useful in making the pricing of EKO competitive to the market pricing. Taking the daily reports of April’15 and May’15, the E-money at different times of a day (8am, 12pm, 4pm, 8pm and 11:59pm) are studied for the days the targets are met and the days targets are not met. This study has given insight into the pattern of E-money (as a percentage of targets) on a particular day for the target to be met. Depending on the observations of the analysis, it is opined that it will be beneficial to provide e-money on credit early in the day and collect it back in the evening. However, care has to be taken to see that this credit serves its intended purpose of minimizing the loss of business at the e-money starved CSPs. With EKO introducing a PPI of its own, there has been a change in the commission structure and hence the profitability. The commissions for the month of May’15 (based on new commission structure) have been calculated for Mumbai and Rest of India. This included the CSP rupee Commission, SCSP rupee Commission, Gross and net fee, Gross and net margins. The direct and indirect costs were approximated and the break-even revenue and volume of transactions have been estimated. I also worked on an idea of business development of utilizing the data on customer base of Eko to develop a credit rating system based on their transaction history and on how strategic partnerships can be formed with financial organisations to facilitate money on credit to customers. A presentation on the same was given to the top management of the company.